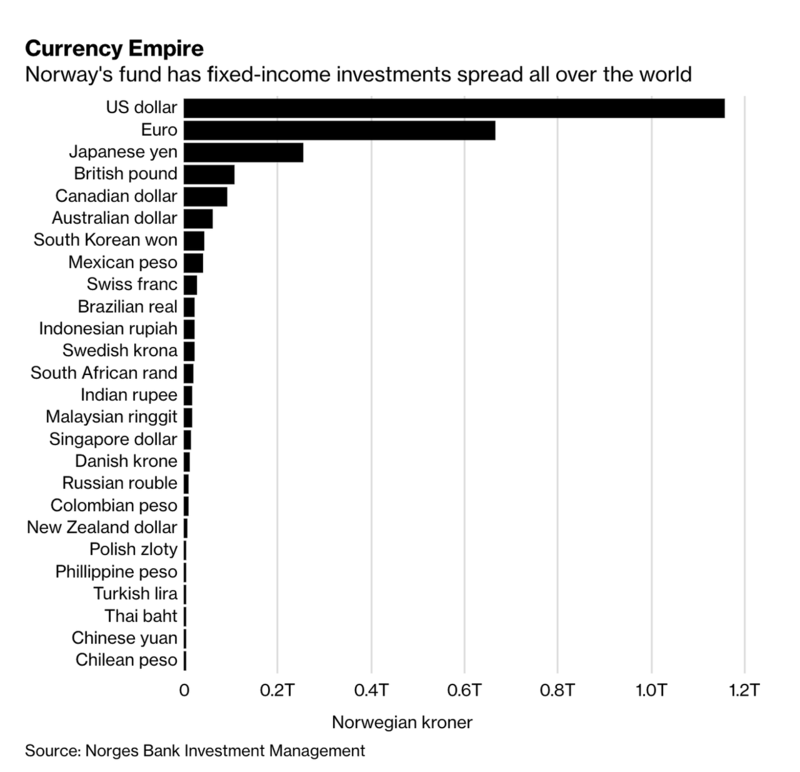 Norway's $1 trillion sovereign wealth fund has already established itself as one of the world's preeminent marginal buyers of equities (behind maybe only the BOJ). So equity bulls will be delighted to learn that the fund has received permission from the government to boost its global-equity exposure to 70% of its AUM, just as global stocks have been powering back toward their highs from last year. And to make room for its next round of price-insensitive purchases, the fund is planning to dump a sizable chunk of its EM bond holdings, as part of a broader overhaul of its fixed-income bond holdings. 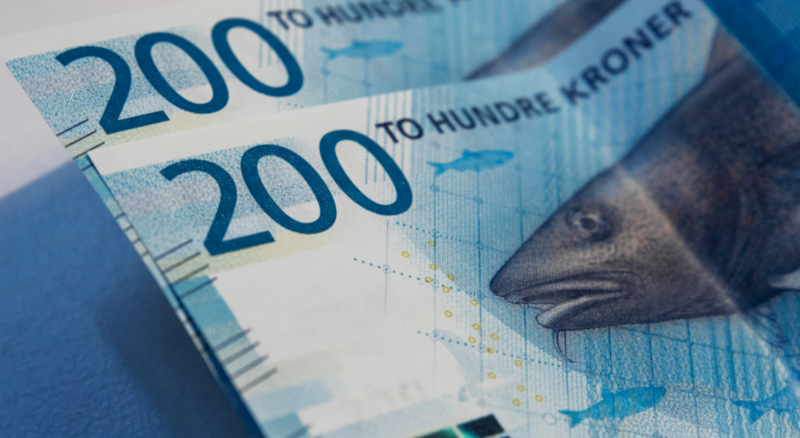 The decision, which was announced on Friday by the Norwegian finance ministry, which is responsible for managing the fund, comes after a year of deliberations. The decision, announced on Friday by the Finance Ministry, comes after more than a year of deliberation. Bonds from Mexico, South Korea, Chile, the Czech Republic, Hungary, Israel, Malaysia, Poland, Russia and Thailand will be removed from the index, but the fund will still have leeway to invest up to 5 percent of its bond portfolio in emerging markets. The move doesn’t go quite as far as the initial proposal from the fund, which called for whittling its bond holdings down to just three currencies: the euro, the dollar and the pound. Big currencies such as the yen, the Australian and Canadian dollar and the Swedish krona were spared. The ministry also rejected the fund’s wishes to cut corporate bonds. The fund received approval to increase its equity exposure after arguing that carrying so much diversified EM debt doesn't make sense given the strength of the US dollar and the increasing correlation. Though the fund insisted it's decision shouldn't be interpreted as being bearish on EM. "I understand this is a strategic decision," said Ulrich Leuchtmann, head of currency strategy at Commerzbank AG in Frankfurt. "They change the benchmark. It’s not a sign that they get increasingly bearish on EM right now." He said that a shift of developed market central bank to "to a longer (perhaps permanent)" ultra-low interest-rate policy “should keep hunt for yields in general alive,” he said. Strategists at Morgan Stanley said the fund would probably sell its emerging-market bonds over "a prolonged period" to minimize the market impact, and that the remaining 5% discretionary allocation will leave the fund with a $14.4 billion exposure to EM bonds, roughly half its exposure at the end of 2018. Of course, depending on which JPM quant you believe, buying equities at these levels is either a smart short-term play or a terrible blunder.